We have threads covering shields, helmets, kits, etc. 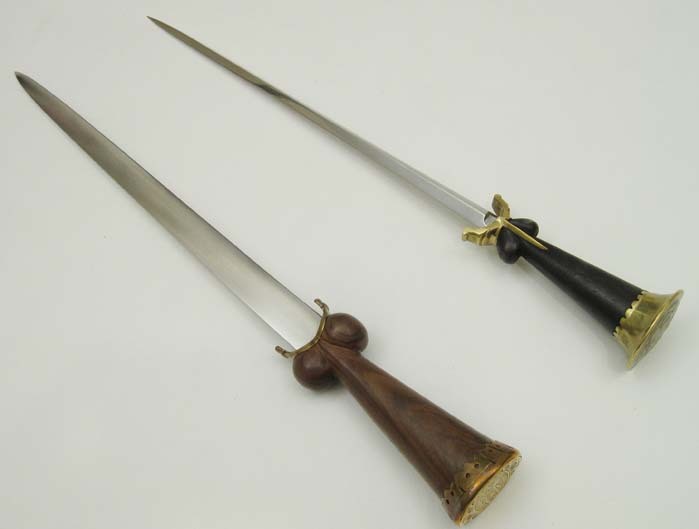 How about one showing ballock daggers from people's collections? 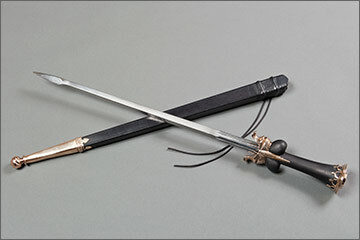 I used to have a ballock dagger by Al Massey, but it was pretty crude and I'd have to dig up photos on it. 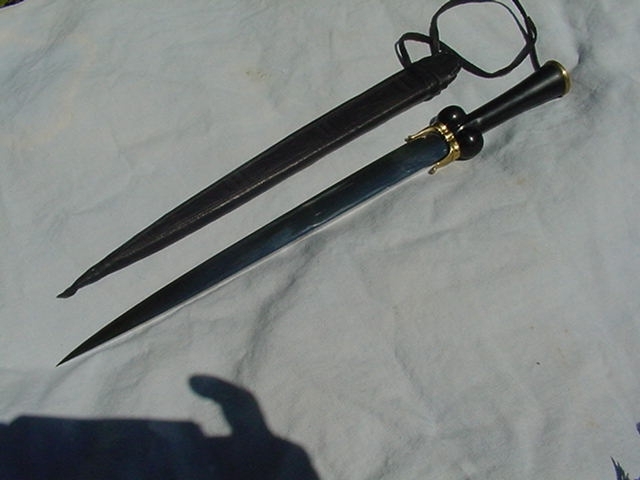 I also have a very ballock-dagger influenced Scottish dirk, but that's a subject for another thread. 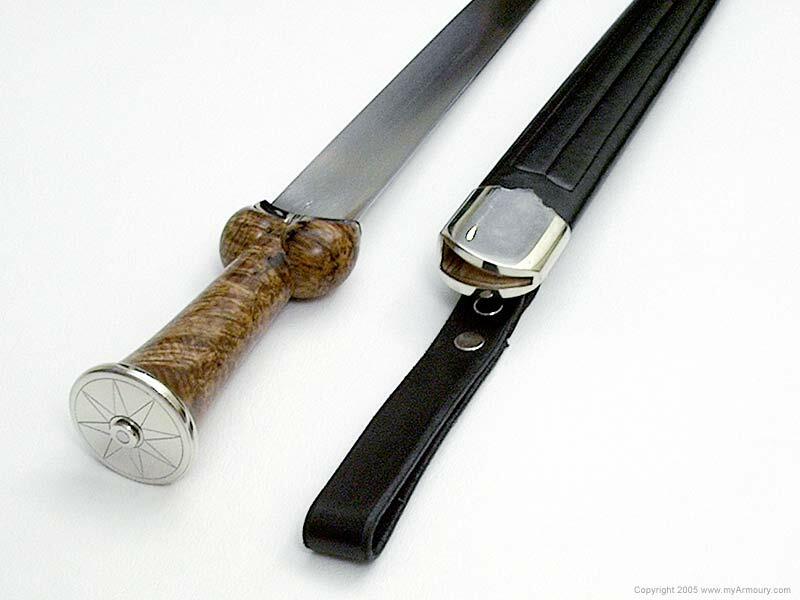 Here is a ballock dagger made by Tod's Stuff based on an eary 16th century piece. The slender sharply tapering blade of flattened diamond-section changes to a recessed tapering ricasso of flattened-hexagonal section. 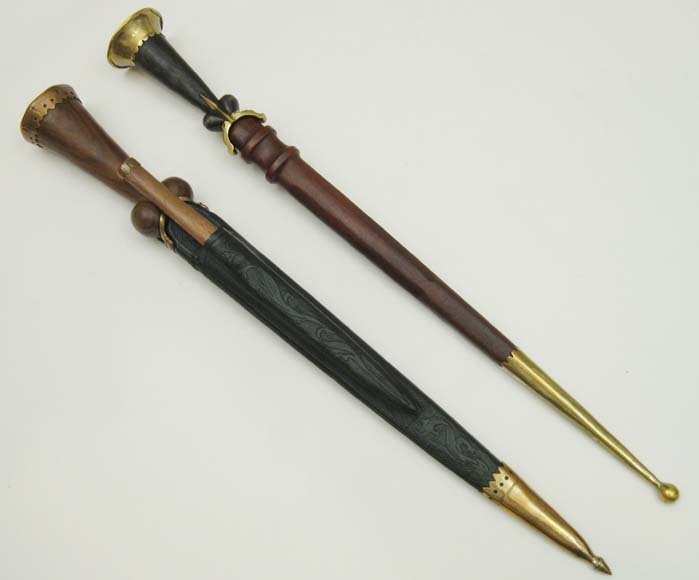 The grip is elm wood and is mounted with brass fittings. 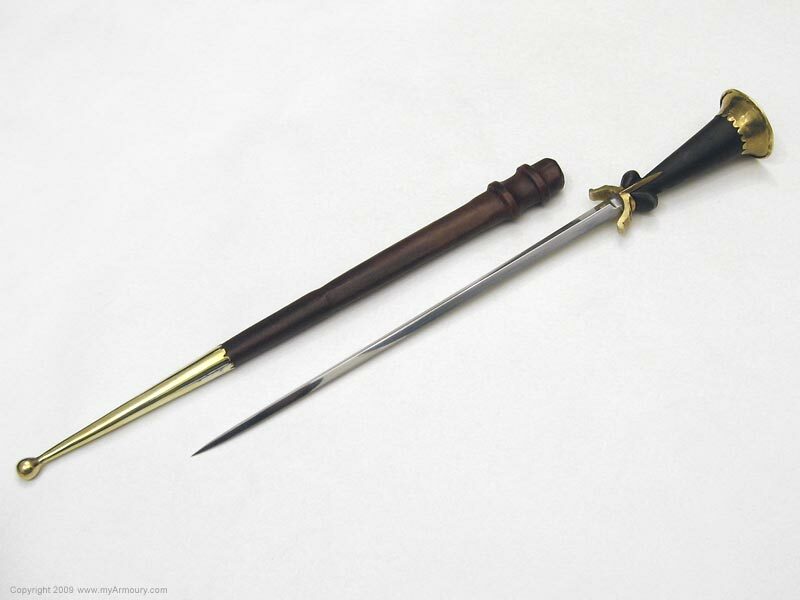 In any case it is a very nice ballock dagger although it's more " abstract " than as " graphically " anatomical than many ballock daggers. Well, my own humble piece, but still one of my favourites. 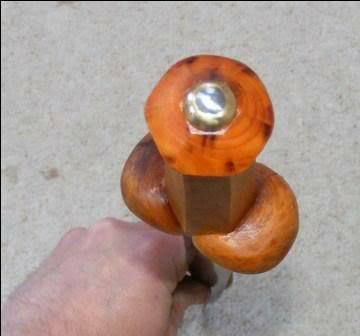 Made by the English Cutler, Tod. 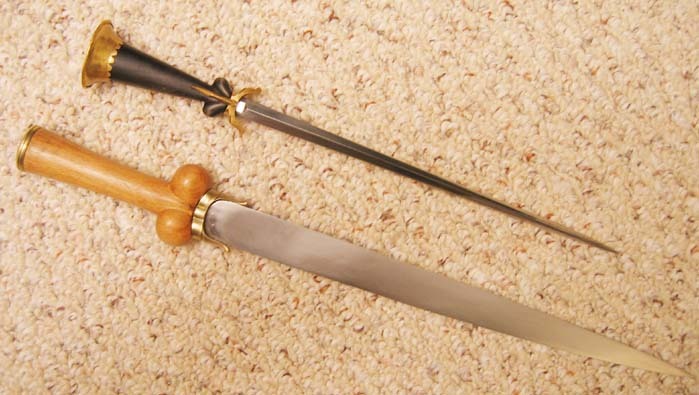 A copy of Mary Rose ballock dagger MR81A1290, with a blade copied from an example in the Royal Armouries, Leeds. 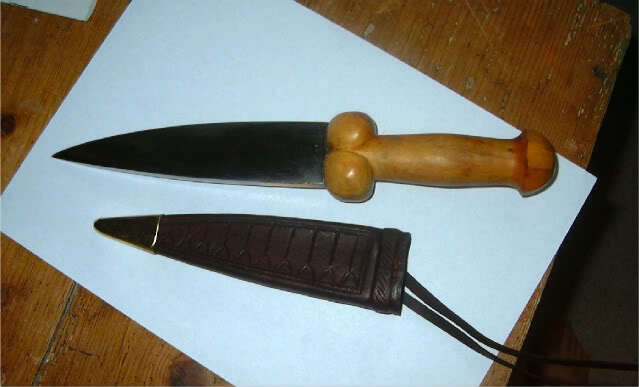 This is my working knife. 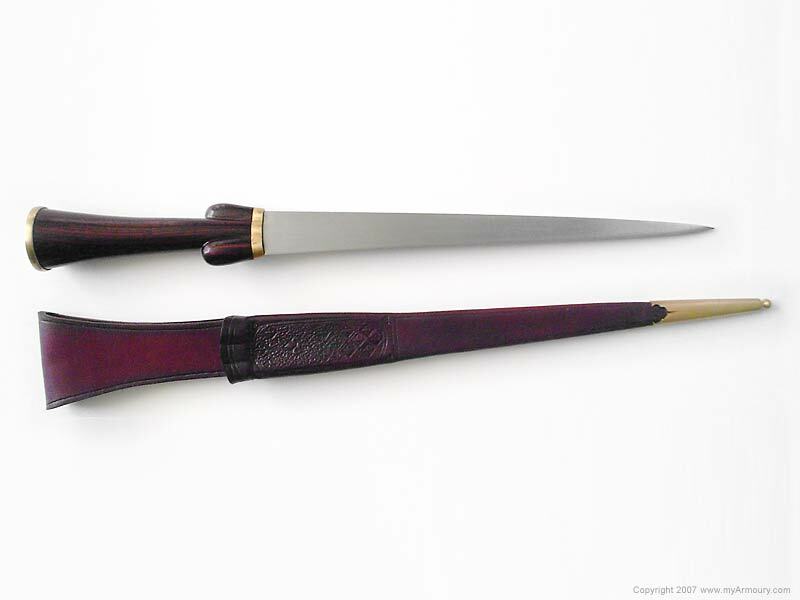 I commissioned this knife from Tod for archery purposes I needed something robust for digging arrows out of trees, etc. 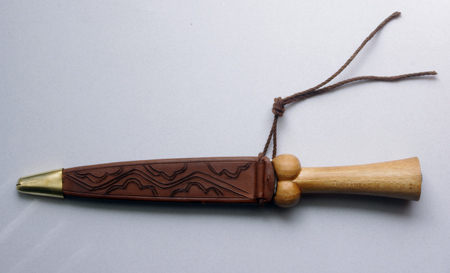 This is not a 'style' knife, it's a tool. The design is based (approximately) on one from the Luttrell Psalter (mid-14thC). 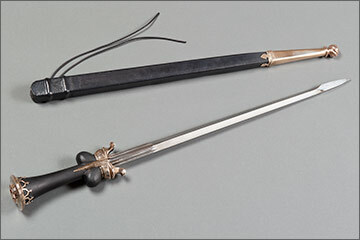 The blade in only 7" long, but 5/16" (8mm) thick. 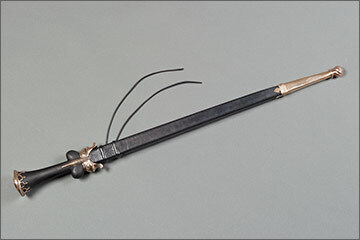 Hilt is Box. 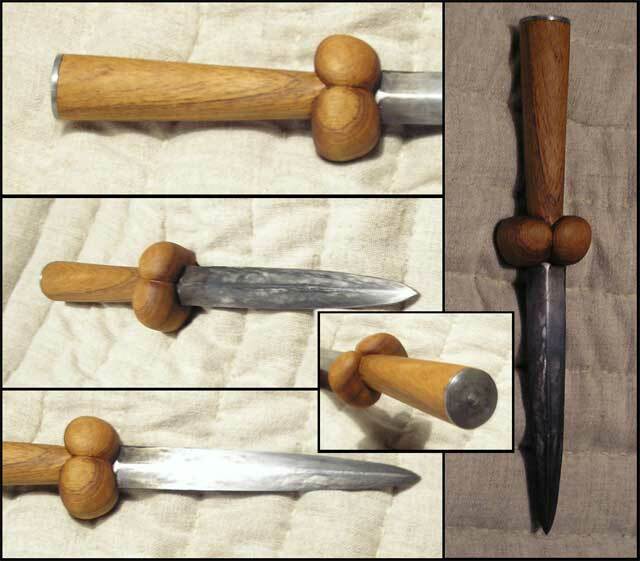 Here's some crappy pictures of my homemade ballock dagger that I made a couple of years back. 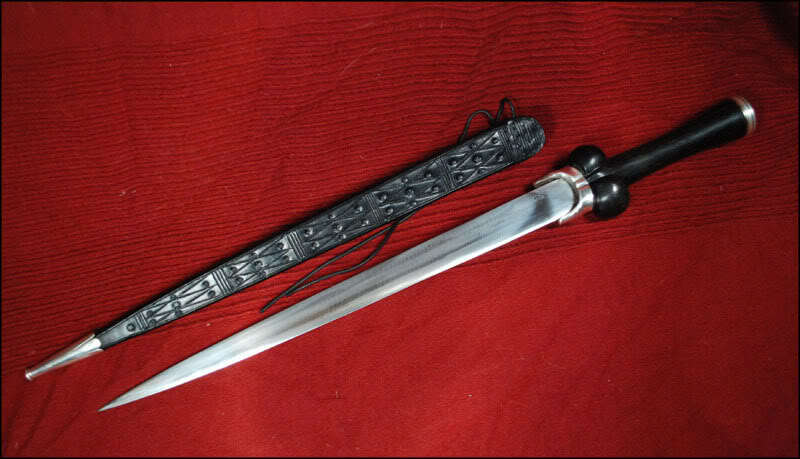 The blade was from an old dagger (probably a Solingen judging from the look of it before disassembly) but I have carved the handle myself. 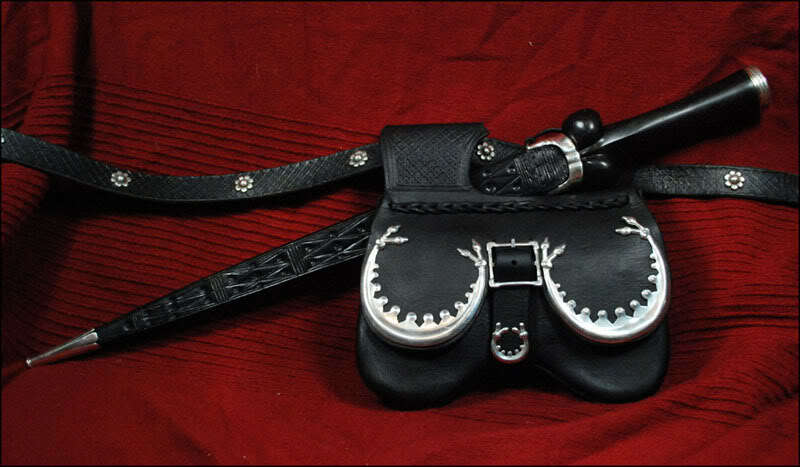 Nice little peice that fits nicely behind my beltpurse! Here's mine, made by Tod. 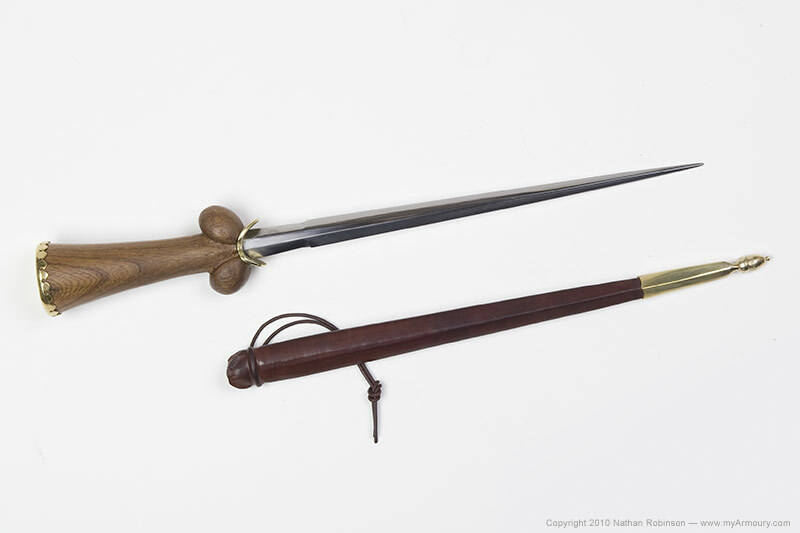 It's loosely based on the well-known Wallace ballock dagger. 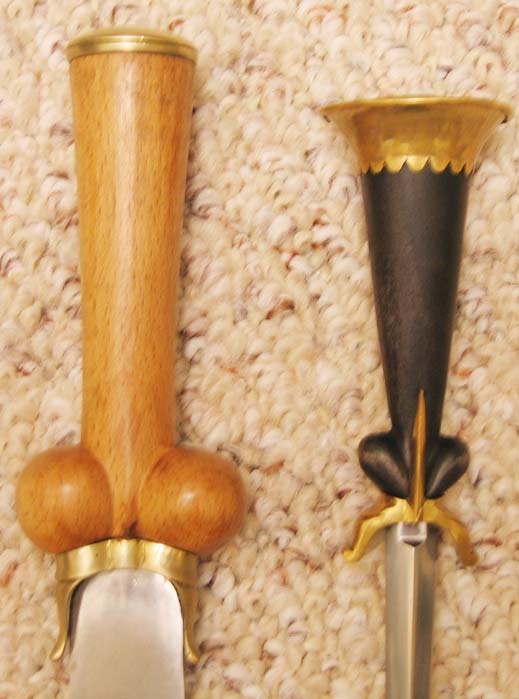 The handle is ebony and the fittings are silver with a gold accent. 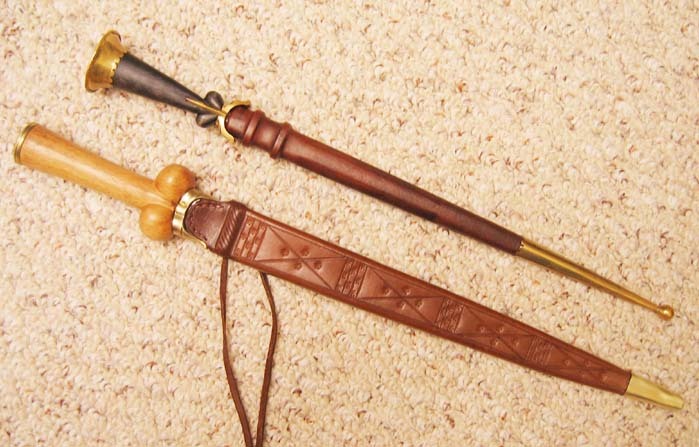 I love it, especially with my purse and belt in the same style. Thanks for posting these everyone. It's interesting to see the variety of shapes, sizes, and decorations in this form. A study in contrasts. 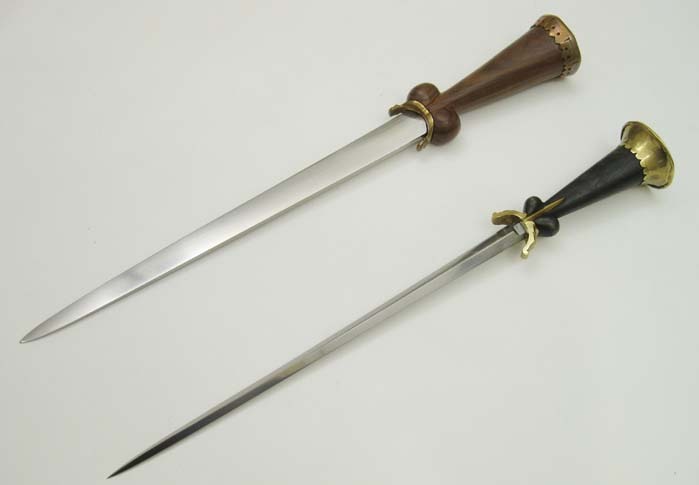 Here are two 15th century ballock daggers. 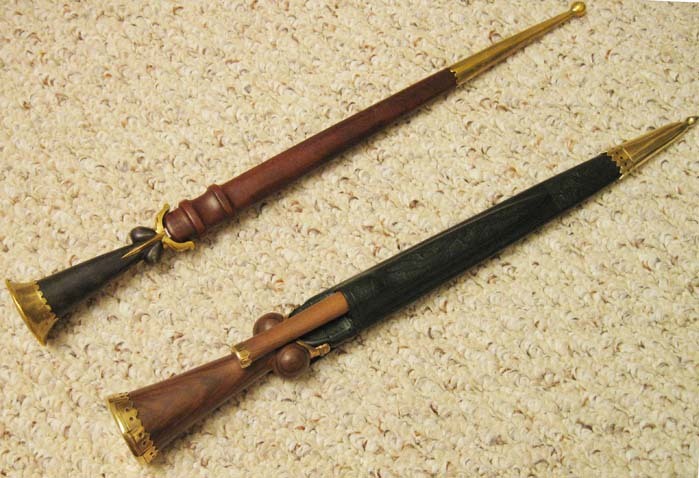 Both are historically sized and styled. 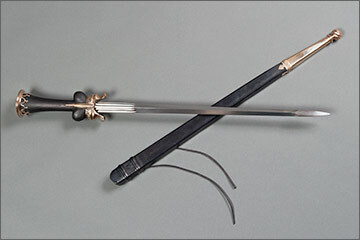 Here's my ballock dagger by Tod's Stuff based on a 1450 example located in the Rothenburg Collection. You can read more about it and see the original on which it is based in my introduction topic. Latest addition, with its older (skinnier) sibling. 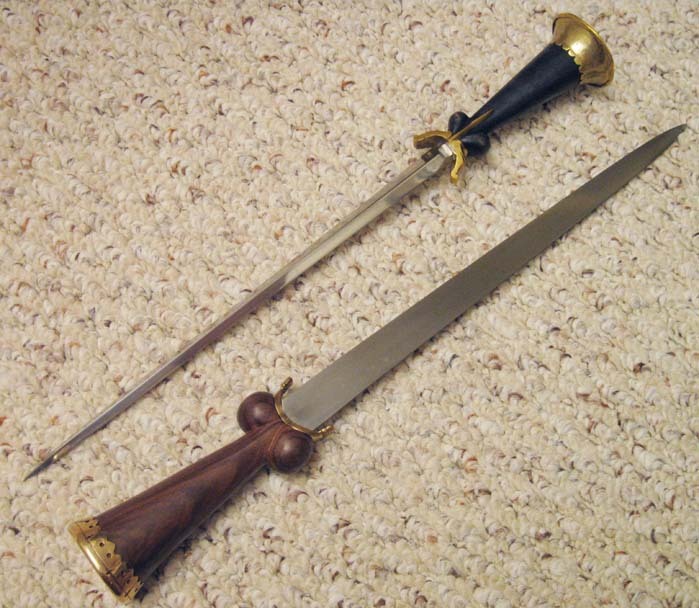 Group shots of my 2 ballock daggers. 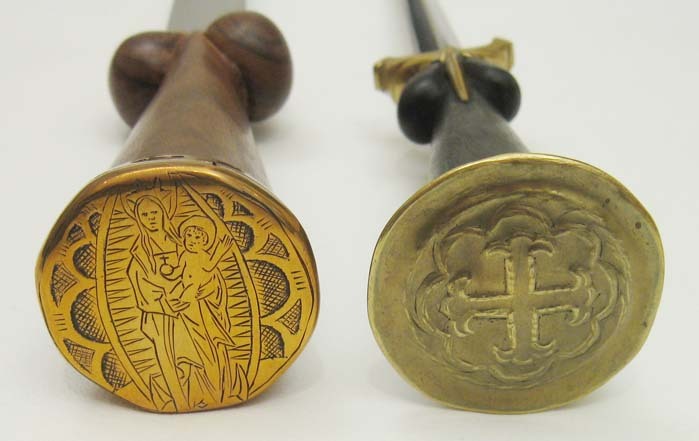 Both are 15th century in style, though the blades are very different, as are the hilt proportions. 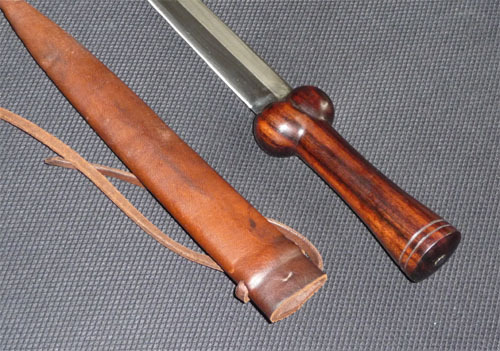 Just a cheap and cheerful one picked up at a re-enactors market. Cheap and cheerful pattern welded example. 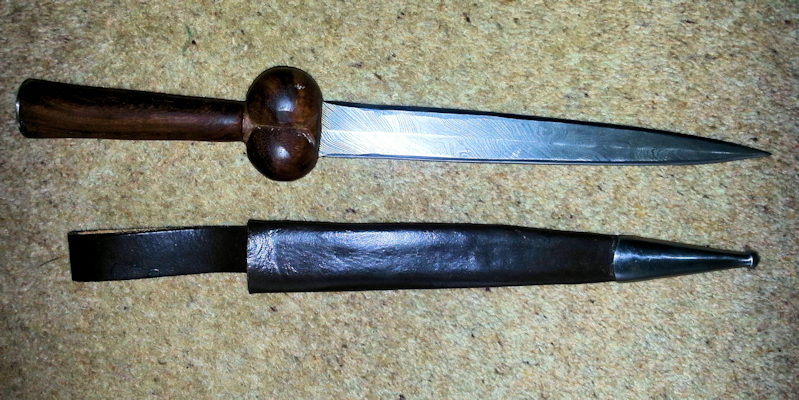 Bought from a stall at the Bosworth Field re-enactment.